Ohio Cancer Research Associates was founded in 1982 by three dedicated men: Dr. James Neidhart, who was then Clinical Director of the Comprehensive Cancer Center at The Ohio State University; Dr. Grant Varian, physician at Mary Rutan Hospital in Bellefontaine, Ohio; and Dr. David Yohn, who was then Executive Director of the Comprehensive Cancer Center at OSU. Dr. Yohn served as the first President of the organization. Original Board of Trustees included Dr. Neidhart, Dr. Yohn, Martha Varian, Shelly LeVeque and Dr. Arthur James. 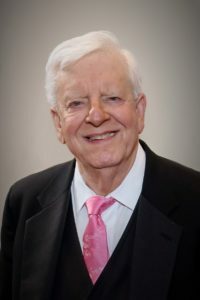 The articles of incorporation were filed by Roger R. Stinehart, JD on March 31, 1982.An impressive group of men and women served on the advisory board. These individuals included members of the medical, business and private sectors. OCRA received support from its Women’s Service Board and the Ohio Team which was committed to extend its financial and human resources. An initial major source of revenue was the organization’s Oncology Outreach program which connected oncologists from Ohio State University with regional hospitals. Members and supporters worked toward a common goal—underwriting cancer research in the State of Ohio. The need for innovation and creative, basic cancer research projects in Ohio had been apparent for many years. Ohio Cancer Research Associates was created to meet that challenge. Cancer research was and is exclusively in Ohio. All funds raised here are spent here. Ohio Cancer Research works to benefit the people of Ohio and all humankind. RESEARCH — “The first step in finding a cure for cancer” is our underlying purpose. In 1986 the board of trustees decided that if the organization was going to be able to grow, it needed an Executive Director. Dennis Zack assumed the position of Executive Director on July 15, 1986 and the office was established in its present location in the LeVeque Tower (initially donated by Katherine LeVeque). Mr. Zack led the organization for the next 26 1/2 years. During his tenure, the organization funded $7 million in seed money grants that generated over $200 million in additional funding. “Give New Ideas a Chance” and “Early Detection Saves Lives” were his major themes for Ohio Cancer Research Associates. He developed Grand Illusions and You and the Night and the Music, A Star Award Gala to raise funds and cancer awareness around the state. The Turkey Hop Walk was one the first walks in Central Ohio. In 2013, long-time Associate Executive Director Tom Lamb took over as Executive Director. In 2015, the name of the organization was shortened to simply Ohio Cancer Research.